Hi everyone. I’d just like to make a quick post about Heart of Thorns. The hype train is strong and I’m excited for it like pretty much every Guild Wars 2 player but I think everyone should keep low to moderate expectations. The stuff we’ll see on Saturday, January 24th at PAX South (either live or on Twitch) will probably result in something like an expansion but an ArenaNet type of expansion. In other words, this will not hold all the normal things you’d expect from a traditional expansion such as a new playable race. Why I feel I need to say all this is because people on Point of No Return patch day and a bit afterwards were commenting a lot in map chat. Most have extremely high expectations. 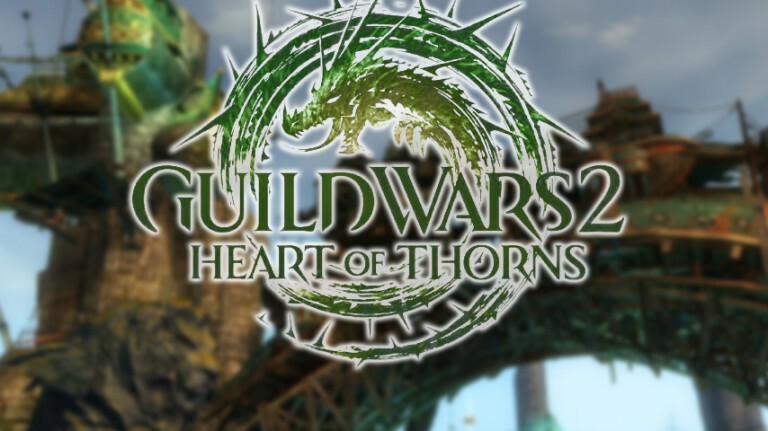 Some are already saying this is an expansion; as likely as it is, it wasn’t confirmed at all by ArenaNet what Heart of Thorns is. I think there will be new weapons, possibly new armor sets because there hasn’t been a bundle of new armor you can buy in-game in a while. To keep myself under control, I’m expecting a good story concerning Mordremoth with new zones to explore. That’s it. Anything else is a bonus for me and I will probably make me super happy… unless they’re nerfing thieves. In short, don’t be expecting precursor crafting or Elona or Cantha right off the bat. Keep your expectations within the realm of moderate. If they do come up as content for Heart of Thorns or just even as additions to the game, then that’s even better. But seriously, I can’t wait to see what’s in store for Tyria! Posted on January 21, 2015, in Games, Guild Wars 2 and tagged ArenaNet, Guild Wars 2, GW2, heart of thorns, living story. Bookmark the permalink. Leave a comment.